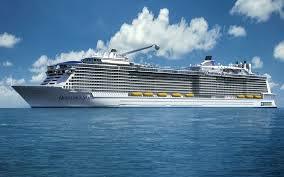 Royal Caribbean currently operates a fleet of 24 cruise ships. They will be welcoming an additional six new ships by 2024. Royal Caribbean has been around since 1968, but redefined their brand names in 1997 when Royal Caribbean Cruise Line changed its name to Royal Caribbean International. Royal Caribbean International operates under its parent company, Royal Caribbean Cruises Ltd. Other brands under RCCL include Celebrity Cruises, and Azamara Club Cruises. In May 2016, Royal Caribbean Cruises Ltd announced that it would sell a 51% share in its Pullmantur and Croisieres de France (CDF) brands. Also in 2016, Royal Caribbean agreed to sell the Legend of the Seas to Thomson Cruises, to be transferred in March 2017. Additionally, Majesty of the Seas will move to the Pullmantur/CDF brands in 2018. Currently, Royal Caribbean has orders for two additional Oasis-class ships to be delivered in June 2018 and spring 2021. They have orders for two additional Quantum-class ships scheduled to debut in April 2019 and fall 2020. They have also ordered two ships in their new Icon class, fuelled by liquefied natural gas (LNG), to be delivered in the second quarter of 2022 and the second quarter of 2024. The Royal Caribbean International brand appeals to families and cruisers seeking adventure since their ships’ features amenities not found on other cruise lines. They offer climbing walls, skating rinks, boxing rings, ziplines, surfing simulators, Aqua Theaters and much more. Children and teens have a number of separate categories based on age with select ships also offering nursery options for babies and tots. Additionally, Royal Caribbean is partnered with Fisher Price, Barbie and Dreamworks. They employ an international crew that promotes Royal Caribbean’s Gold Anchor Service, exceeding guests’ expectations. Their employment web pages provide details on how to apply for job vacancies and a list of authorized hiring partners. Click on the desired cruise ship job and you will be prompted to “Apply Online”. That will bring you to a detailed job description including minimum job requirements. When you click on another “Apply Online” link it will bring you to a page where you will need to create an account. If the position you are interested in is not one of their current vacancies, Royal Caribbean encourages applicants to use one of their authorized hiring partners. Royal Caribbean also works with a number of third party concessions to provide some of their onboard services. These are found below.